The introduction of Bitcoin, a famous cryptocurrency, has added momentum to the digital payment concept. Although, there’s a constant debate on how valid and secure is this digital currency, 9 years on, and the furor is still alive. Bitcoin has been going pretty strong against the U.S. dollar over the last few years, therefore, working as an investment option for people. While it may give you double the returns over the next couple of years, it can also experience a downward trend offering you nothing at all. So, understand the risk factors involved in it, and if you are still resolved to stay invested in it, get a bitcoin wallet for investing and storing the currency. A Bitcoin wallet is a program where your public and private keys are stored, and that helps you to send or receive funds. 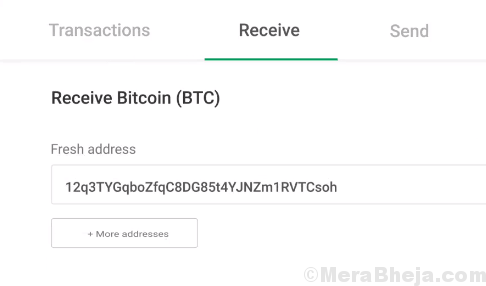 So basically, a Bitcoin wallet of the individual owning the balance, stores the currency in the form of a unique Bitcoin address. Software wallets – are the apps available on smartphones and PCs. Easy to use, these apps are also potentially exposed to hacking and malicious attacks. These wallets are intended for minor transactions online or offline using Bitcoin. Hardware wallets – are solid devices operating wallet software of their own. These are comparatively more secure than the traditional software wallets because the former requires you to press buttons manually to lock a transaction. 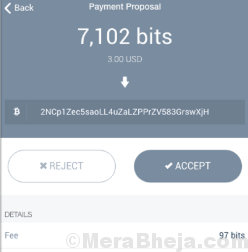 This process makes it challenging for the hardware wallets to be compromised and so, are perfect for bigger transactions of any cryptocurrency, including Bitcoin. Here’s a quick rundown of some of the best Bitcoin wallets to get you covered. 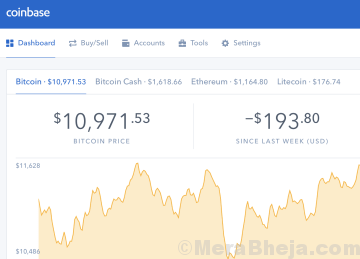 Coinbase is a software wallet that’s widely known for buying, selling, and storing cryptocurrencies like Bitcoin, Etherum, and more. The transactions are super easy and carried out forthwith, using a bank account or a debit card. What’s more? It also allows to check the prices and the price charts on the desktop or on your Android or iOS smartphone using their app. Moreover, the program saves more than 98% of the cryptocurrencies offline and the remaining ones are secured by top online security programs. Best of all, it also makes the buying process much simpler by setting automatic buy option. Electrum is another popular Bitcoin wallet that despite having an outdated and not-so-good-looking interface, is a powerful and secure desktop wallet in the category. While it keeps your private keys, password locked and secure in the computer, you can also recover funds from an undisclosed stage. The software uses servers that index the Bitcoin blockchain, making it faster. Moreover, it also allows you to export your private keys that can be further used in other Bitcoin clients. The best part is, the servers of this software is localized and terminated that avoids any down time. In addition, it proof checks all the transactions in the past records with SPV. Securing your private keys by keeping them offline, breaking up the authorisation helping you to spend your coins between multiple wallets, or inclusion of third-party add-ons, hardware wallets, and more, are some of the other major features of this program. Ledger Nano supports a wide variety of cryptocurrencies and altcoins, including Bitcoin. It allows you to safeguard your crypto assets most efficiently using a secure chip. The best part is, your private keys are securely stored in a chip that’s locked using a PIN code. It’s the same thing that’s used in credit cards and passports. Moreover, it supports multiple cryptocurrencies (more than 40) that includes Bitcoin and Ethereum. What’s interesting is, there are only two buttons to control the device, and all actions are authenticated on the display. Then, there’s the Ledger Live companion app that allows you to manage your crypto transactions easily. Additionally, your crypto assets are secured even if the Ledger Nano device is lost, as your device is backed up by a private recovery phrase. A Bitcoin wallet by BitPay, Copay is a software wallet that keeps your funds secure using multiple signatures, or simply one. It’s purely a bitcoin wallet and, not an account service. This wallet does not burden the customer with tiresome address management and instead saves several, individual bitcoin wallets, securely. This allows both the businesses and users who wish to keep their data confidential, to place the funds apart, carefully. In addition, Copay supports the complete Bitcoin Payment Protocol that helps verify your payment securely while ensuring that it’s going to the right destination. What’s more? It also offers local support for Bitcoin Testnet, that helps the developers test new Bitcoin apps across different platforms. Best f all, both Copay and the server is open source. Trezor is one of the popular hardware wallets after the Ledger range that supports multiple cryptocurrencies including Bitcoin and Ethereum. The device, they say, is introduced for your digital independence that secures your digital assets in the most simple manner. The device is reviewed and verified by their security researchers and their past record. It’s accompanied with an amazing customer support that’s available to assist you at all times. What’s more? This cross-compatible device also comes with a responsive and easy to use interface adding to your confidence and peace of mind. The best part is, it allows you to get back access to your digital funds from the offline backup, in flat 5 minutes. Exodus is a pretty looking desktop wallet for bitcoin and highly responsive. This software offers equal security benefits as any other popular Bitcoin wallets. 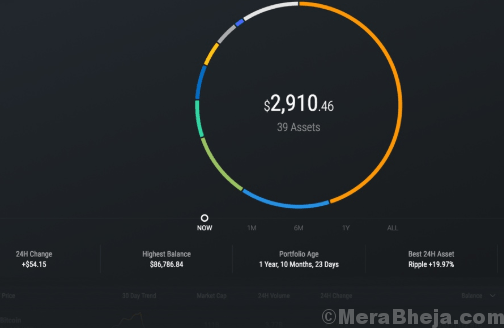 This is designed specifically for desktop that converts your Bitcoin and other digital currencies to a portfolio featuring graphs and charts. Thee portfolio offers an effortless, exchange experience and supports multiple cryptocurrencies (over 85) including Bitcoin and Ethereum. The entire process is fun and easy to learn, while it allows access to blockchain assets. It’s perfect for beginners as it hides the intricate details in a jiffy. With a dedicated 24×7 customer support and online help desk, it makes things simpler for anyone who needs help. 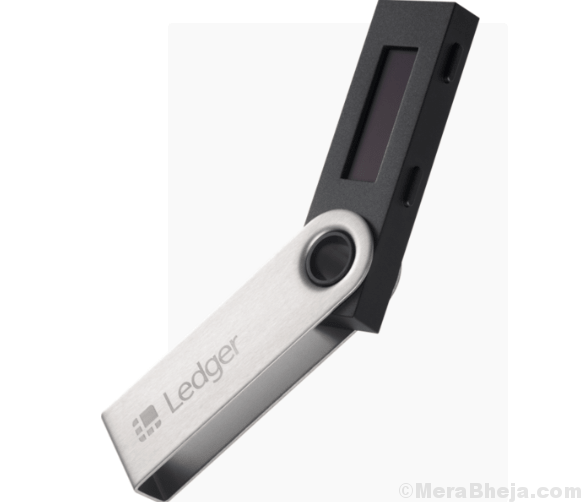 Ledger Blue is another great hardware wallet by the Ledger range that adopts most of the features from the Ledger Nano S. This premium hardware wallet offers a state-of-the-art experience to its users with a huge touchscreen display. Designed based on a secure element, it comes with all the security functionalities that’s expected from Ledger range. Apart from an attractive color touchscreen, the Ledger Blue offers all the features same as the Ledger Nano S.
Opendime is another great hardware wallet that’s available in form of a USB stick. It’s called the Bitcoin Stick which you can use to spend like a dollar bill. The device works like a USB flash drive that’s compatible with any laptop, computer, or phone. The Bitcoin address and more useful information is stored inside in the form of QR Image and Text files. You can even share the device with anyone without worrying on the security of your funds. The private key is strictly safe in your device as it’s created inside the device and is completely confidential. The best part is, it can be passed on multiple times absolutely free of cost. Built on the basic Bitcoin features, Opendime has been constant since last 5 years. 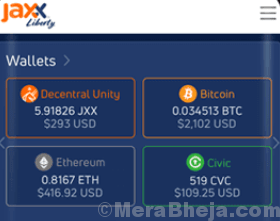 One of the leading digital wallets in the field of blockchain and digital assets, Jaxx can be paired with multiple devices. It’s available on all major platforms such as, Google Chrome, Windows, Linux, Mac OS X, iOS, and Android. The best part is, it’s completely free. Moreover, it lets you have total control of your private keys without storing them anywhere. It’s a reliable software that comes with a easy to use User Interface offering an effortless and polished experience. To get in, you do not need to enter a email, username, or password making the entire process extremely convenient. One of its major features is the seed backup that allows you to control and get back your crypto funds in case if the device lost or damaged. Blockchain is technology that also offers online wallets for storing your crypto assets. It’s the most secured form of wallet that’s known for both storing and investing cryptocurrencies. It serves over 30million wallets with $200 billion transactions already done. Best of all, it charges the lowest fees in the industry and offers top-class security. It offers you complete control, allows you to backup your funds, and even secure them for unwanted access. Armory is an open source wallet that features cold storage and supports multiple signatures. It comes with a unique interface that offers best practices available for everyone. The software is especially for developers that offers a great foundation for Bitcoin apps. It also helps managing large Bitcoin funds in addition to offering help for hedge funds, exchanges, trusts, and more. Multiple Bitcoin wallets that are encrypted and permanent single time paper backups, are some of the major features offered by Armory. Moreover, they boast a highly experienced team skilled in cryptography and private key services. BitPay is well-known software wallet that is customer centric. It allows you to accept Bitcoin and Bitcoin cash, save them, and even spend them in the safest manner. It can also convert Bitcoin into dollars using the BitPay card. It offers various tools that allows access to different markets such as, retail, billing, donation, and ecommerce. You can even manage your blockchain funds in a single app with this open source and secure wallet. Best of all, it’s available for all major mobile phone and desktop platforms. Additionally, you can also load dollars anywhere with the bitcoin wallet. Ledger unplugged is a small sized hardware wallet that comes in form of a credit card. It helps protect your crypto funds and works as a perfect partner for your Ledger Nano S. You can also add new cryptocurrencies and view your balance in just a few clicks. Among its major achivements are, integration of IOTA foundation for safe storage of IOTA tokens, offering white paper limited edition, and availability in Hong Kong. Mycelium is a Bitcoin wallet for mobile phone platform that’s been tested by thousands of users over several years. This is a useful Bitcoin wallet that integrates with many third-party providers. Colored coins and new PoS blockchains are some of the new initiatives that’s going to open up a whole world of opportunities. It will soon extend its “handle money” feature to different ideas related to personal finance, value administration, and social communication. Price: free to use; transaction fees are based on the transaction size. Software, hardware, or online wallet, it completely depends on your convenience which type of Bitcoin wallet you want to choose. elect from the above list and skyrocket your profits with secured and advanced transactions.